Hello Beauties! I hope you're all well and had a lovely weekend! Now that it's officially December and it's completely acceptable to go all out Christmas, I thought I'd share with you some festive/winter themed blog post ideas and share the holiday spirit. I'll probably be doing some of these on Lipgloss & Lashes myself over the next 25 days, but feel free to pinch as many as you like - sharing is caring after all! 1. Christmas Gift Guides - now this is a fairly obvious one, and one which I normally do every year. I won't be doing these this year as I just haven't had the time to focus on choosing the right gifts. Personally, I like when these are split up into categories (eg: for him, for her, beauty lovers, tech lovers, office themed, etc) as this makes it easier for me when browsing for gift inspiration, as I often have someone in mind when shopping. 2. Christmas Wish Lists - If you're anything like me, there will be some bits and bobs you're wishing for this Christmas, so why not share them with your readers. You never know, someone buying you a gift may be reading your post! 3. Your Holiday Traditions - I'm sure most of you have one or two unique holiday traditions which you and your family have been doing for years, and I'd love to know what they are! 4. 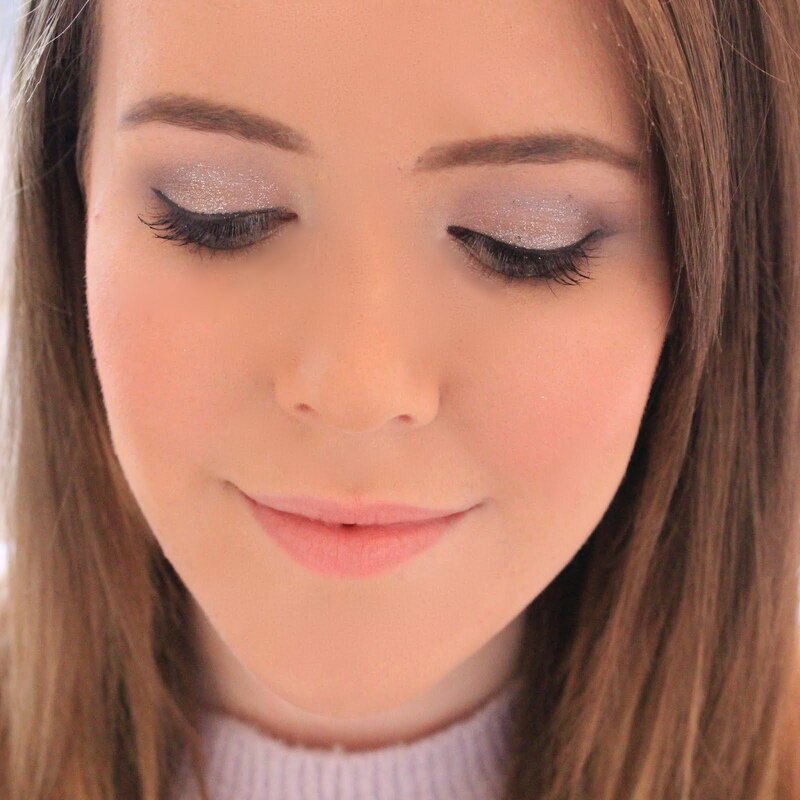 A Festive Makeup Look - Festive makeup calls for sparkles and red lips, it's one of the only times of year I feel comfortable going all out with my makeup, so why not share it with everyone, and include some of your favourite festive products. 5. Winter Accessories Edit - Winter calls for a whole host of new accessories (scarves, gloves, hats, ear muffs, etc) so why not share your top picks with your readers, I know it's something I would love to read. 6. Winter Pamper Night Routine - winter is the perfect time for a cosy pamper night in, so share the products you love to pamper yourself with, and maybe some of your favourite things to do on a cosy night in. 7. An Overview of the Previous Year - This is something I do every year and definitely something I'll be doing this year. I keep this blog as a form of online journal, and I share a huge part of my life with you all, so each year I like to go over everything (the good, the bad, the ugly) and keep a note of everything I've learnt over the past year. It's also nice to include some goals for the upcoming year too. 8. Your Winter Skincare Routine - Your skin needs extra attention during the cold winter months, so it's the perfect time to share your skincare saviours and some of the products you use to combat the harsh winter weather. 9. Your Christmas Wrapping - this may seem like an odd one, but I love wrapping all of my Christmas presents and each year I have a theme (last year's was white sparkles and purple) and I'd love to get inspiration from some of the blogs I follow. 10. Christmas Money Saving Tips - Christmas can be expensive so I'd definitely love to read any money saving tips some of you may have picked up along the way! 11. 2016 Goals & Resolutions - I never ever stick to my new years resolutions, but I still like to post them each year - just incase. 12. Festive Party Outfit Ideas - December is a month full of parties and festive get togethers, so I'd love to see some outfit inspiration from some of the blogs I follow. 13. DIY Gift Ideas - not all gifts are bought on the high street, and I know some of you are brilliant at DIY so why not share some of your ideas? 14. 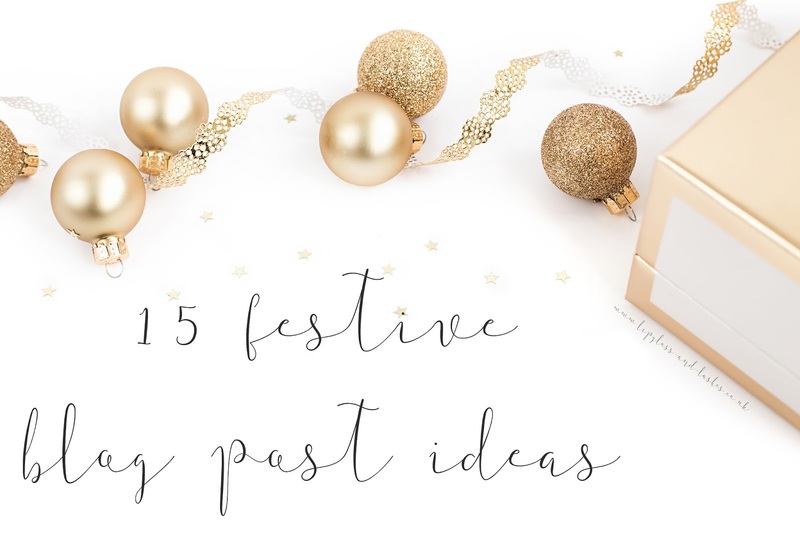 Festive Blog Post Ideas - share your own! 15. Your Christmas day Routine - everyone seems to spend Christmas Day differently and have different things they like to do and I'd love to know how you spend yours. I love posts like these! So many ideas for blogmas. Love this! Although I have a fair few ideas up my sleeve for the Christmas month, it's always great to discover things I might have missed or not thought of! Lovely post sweet. My wrapping skills are atrocious! All of these are such fab ideas, I'd love to see a post about wrapping as I'm so terrible at it! These ideas are great! I love wrapping presents as well....and I'd love to take a peek the wrapping other people use! These are some great ideas, thank you! I'm lucky that I've managed to think of quite a few ideas already, but I'll definitely be using this as a guide! I love the idea of purple and sparkly wrapping paper! This is by far my favourite time of year for blog posts! So many festivities and things going on, it's brilliant! I have defiantly got some of the things on this last planned for the coming weeks!